If you are preparing to replace the roof of your Cockeysville home, it is natural to be curious about what it might cost you. A new roof is, in fact, one of the most significant investments you can make in your home. Therefore, you will want to be sure you are getting something that is worth the money you’re going to pay. Be wary of is companies that insist on providing a quote over the phone using only the approximate dimensions of your home. This is a common tactic that often leads to unexpected costs in the long run, simply because it’s impossible to accurately determine the scope of work for a roofing job from a simple phone call. Make sure that the cost estimate for your new roof is performed on site to ensure that it is as precise as possible. The experts at Roland Slate Service Company have been in the roofing business for over three decades and can provide you with an accurate estimate for their stellar services. Our roofing technicians are incredibly talented and dedicated to delivering a product that is truly flawless. We also offer a variety of products so that no matter what kind of roof you want, be it asphalt, metal, copper, slate, or tile, we can make it happen. 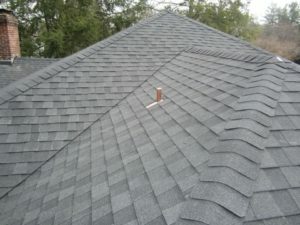 Contact Roland Slate Service Company today and one of our product specialists will be happy to visit your Cockeysville home and perform a thorough inspection so that we can provide you with the most accurate cost estimate for your new roof.